Tyres can degrade even when not used warns ClassicLine Insurance as figures released by the Department for Transport show that illegal, defective or under inflated car tyres were a contributory factor for 384 reported accidents in 2017. Indeed, unbeknown to their owners, collectable classic cars often worth six-figure sums, rare models and even more modern vehicles, could be on tyres not fit for the job because they have degraded while on a car which is in storage or driven only occasionally. ClassicLine is urging all motorists to regularly check their tyres, no matter how often they are used. And this time of year is especially important for tyre maintenance as a number of high-profile industry-led campaigns warn drivers of the dangers of driving over winter and the hazards it presents, such as wet weather. Additionally, recent changes to the MOT means that many cars built more than 40 years ago are now exempt from the annual roadworthiness test, which includes checking the tyres. It’s important to remember that just because a tyre is not being used, doesn’t necessarily mean the tyre’s condition hasn’t deteriorated. 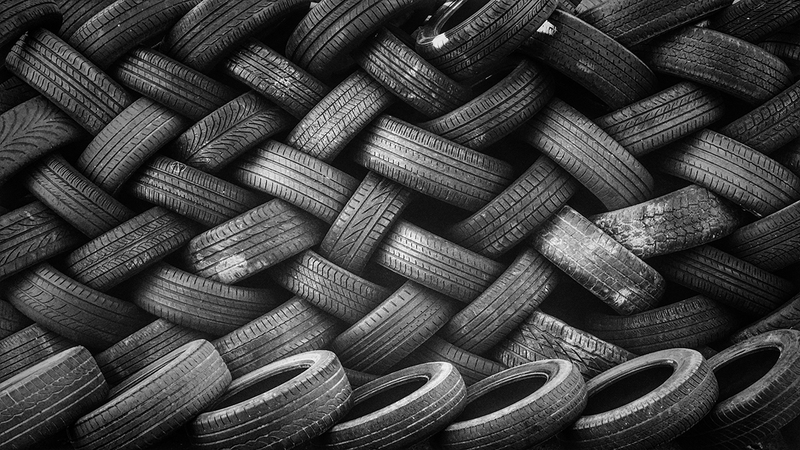 Tyres in direct prolonged contact to sunlight are particularly prone to cracks appearing, while other environmental and storage conditions can also influence the ageing process, including ozone and oxygen. Aside from the safety aspect, drivers with illegal tyres face harsh punishments including 3 penalty points per tyre and a fine of up to £2,500 per tyre – making a possible maximum fine of £10,000 and disqualification. UK’s Motorhomes & Caravans would span the Atlantic!